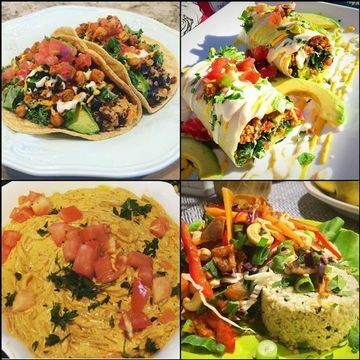 Las Vegas has some very talented vegan chefs. 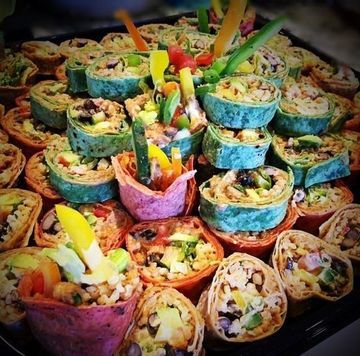 Whether you are looking for prepared meals on a weekly basis, or catering for a special event such as a wedding or business conference or private party, these capable chefs will meet your needs. 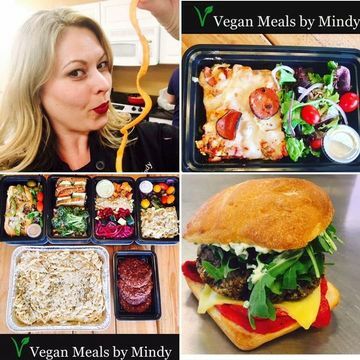 From Chef Mindy: Vegan Meals by Mindy provides the Las Vegas valley with a huge variety tasty, convenient, affordable, ready-to-eat meals and desserts delivered to your door each and every Monday! 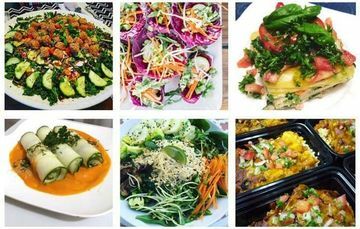 Vegan Meals by Mindy also can cater large parties, weddings and events as well as do in-home cooking instruction. 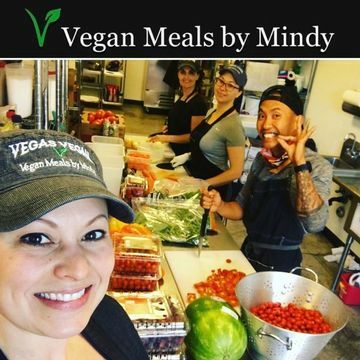 Vegan Meals by Mindy is owned and operated by compassionate Vegas vegans that care! We are trying to make the world a better place. 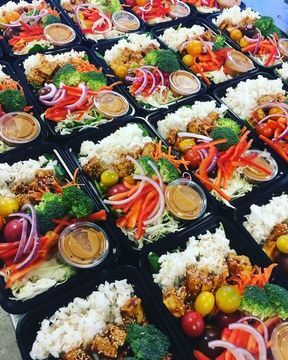 From Chef Stacey: Chef Stacey Dougan and her highly trained staff will safely prepare and package meals for your enjoyment. We offer in home meal preparation as well as delivery service. We specialize in accommodating those who want to obtain and maintain optimal nutrition based on individual needs. We use only the freshest organic ingredients in our meals. Let us take care of you and rest assured that your complete satisfaction is our highest priority! 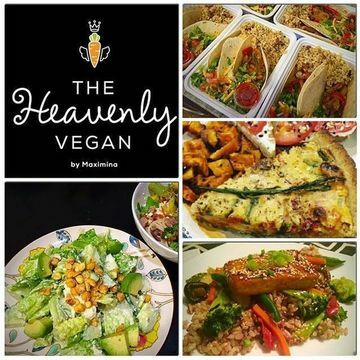 From Chef Maximina: The Heavenly Vegan is a meal prep company specializing in making balanced, healthy, affordable, nutrient dense, non-gmo, and organic meals. Maximina also has a new line of meals called "Fit Meals" catering to those with high protein and low carb diets. These meals are perfect for those who like to keep track of macros. One of the reasons so many people love The Heavenly Vegan is the raw vegan options including desserts. She has one of the most eclectic menus including up to 10 menu items every week. The menu changes weekly and clients have the option to make special requests as well as meal modifications making it easy for people with the most restricted diets. Maximina creates meals with large portions, some meals can feed two people. Her gourmet flair, creativity, and love is infused into every dish. 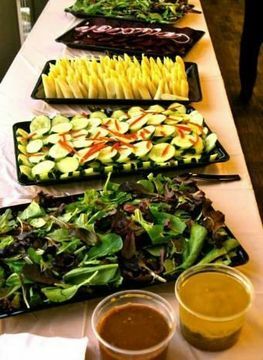 The Heavenly Vegan offers large scale catering, for any event, in-home cooking instruction nutritional consulting. Additionally, Maximina's service includes gourmet cakes including tiered cakes, cupcakes, and raw vegan desserts. Maximina truly cares about the health of each individual client and takes the time to build partnerships with them to insure nutritional needs are being met. Chef Mayra is a rock star chef with a huge culinary repertoire and certificates in many cooking modalities ranging from Ayurvedic to Sports Medicine. She is known as "Dr. Flavor" and her food boosts Caribbean, Latin and South-Western flavors that are famous in Las Vegas! 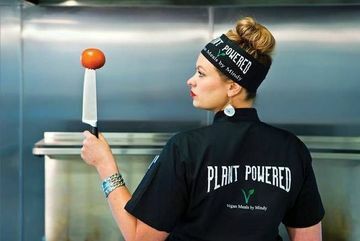 She is extremely talented and has thousands of fans across the valley, vegans and non-vegans alike. Chef Mayra's vegan restaurant "Pura Vida" was unfortunately razed to make room for the Route 15 highway expansion. She is available for catering and can handle any event including fundraisers, large event catering and private chef work. 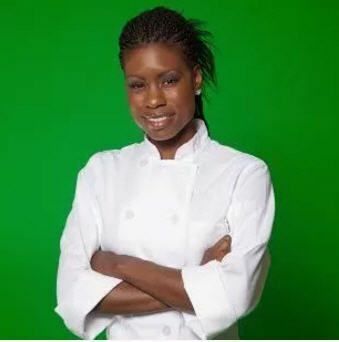 Her gourmet plant-based food features delicious burgers, WFPB, Caribbean dishes, desserts, and baked goods. Meetup stopped allowing pictures to be added to their pages section, so be sure to check out Chef Mayra's website for some great photos.